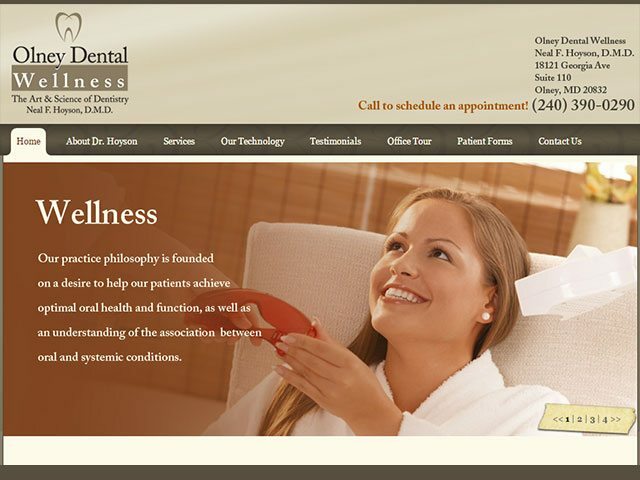 Website design for Olney Dental Wellness in Olney, MD. Website features a services slider, WordPress backend and social media integration. Trumpet Marketing designed the Olney Dental Wellness logo as part of this project.